Firstly I will start by saying I love the cover, it is modern and interesting. On my hardcover version of the book, when you remove the dust jacket you have a vibrant crisp white cover with magpies adorning the front and back. It is a little quirk but I really thought they were quite wonderful. Onto the wonder that is The Death of Mrs Westway, a brilliant read. It’s a true stonker of a read and has firmly become my favourite read of 2018. We meet Hal when she really has hit rock bottom. Hal is a likeable character who you immediately care about. When Hal is handed a lifeline in the form of a letter, she has to decide which road to choose. It was refreshing not to be able to guess what would happen next or to predict the ending. I loved Ms Ware’s writing I am eager now to read the previous novels In a Dark, Dark Wood and The Woman in Cabin 10. 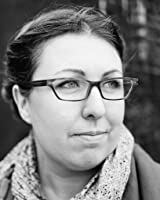 Ruth Wares writing is alluring and she seduces you into feeling safe and cosy. But beware all is not as it seems. A page-turner that leaves a lasting impression. 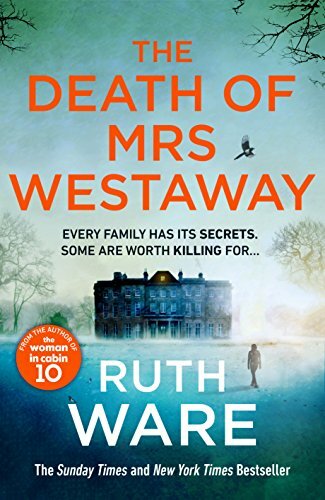 Ruth Ware’s first two thrillers, In a Dark, Dark Wood and The Woman in Cabin 10, were international smash-hits, and appeared on bestseller list around the world, including the Sunday Times and New York Times. The film rights to her debut were snapped up by New Line Cinema, and her books are published in more than 40 languages. Ruth lives near Brighton with her family. Visit http://www.ruthware.com to find out more. Nice review, I am looking forward to getting to this book.